Aren't these cakes absolutely gorgeous? let's the ruffled effect really stand out. 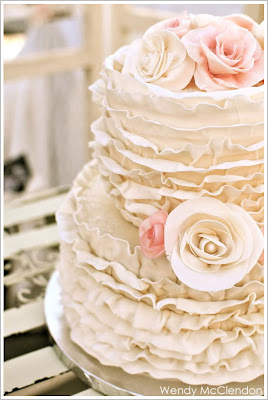 of the white fondant ruffles with the whimsical fondant rosettes.... just beautiful.